Hydrogen is the fundamental substance of life. As its name suggests, hydro-gen generates the existence of water. Of all the known elements in the universe it is the smallest, lightest and most abundant. Hydrogen is essential to the processes that enable life and is present in nearly every molecule in the human body. Systems weakened by disease or age are less able to split molecules to access hydrogen needed for optimal life. A molecule of hydrogen is formed when two hydrogen atoms combine. We call this molecular hydrogen or H2. Since 2007, hundreds of scientific and medical studies have be published about the therapeutic benefits of ingesting H2. Molecular hydrogen is an extraordinary antioxidant which (unlike other antioxidants) selectively reduces the harmful cytotoxic oxygen radicals that occur in our body without wiping out beneficial free radicals. Ingesting molecular hydrogen does not disturb the homeostasis of the body. Medications interfere with this natural balance as do other types of antioxidants which become free radicals once they have reacted in the body. The only by-product of H2’s reaction is H2O. Molecular hydrogen appears to signal corrective modulating effects within the body. Because it is so fine, H2 can access the interior of cells where it may protect genetic material from oxidative stress and activate antioxidant enzymes. The golden ratio is a mathematical ratio, commonly found in nature, that is approximately 1 to 1.618. It has been used by humans in art and architecture for millenia because physical artifacts with this ratio are naturally pleasing to look to the eye/mind and are also reputed to have life-enhancing benefits. 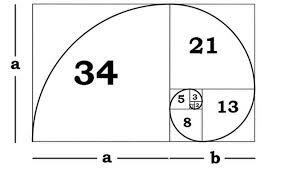 The Golden Ratio is also known as the Golden Mean, the Golden Section, or as phi (a Greek letter). The geometric equation behind the Golden Ratio is related to the Fibonacci Sequence. The next number is determined by adding together the two numbers before it. This sequence of numbers is significant because it is the mathematical equation underlying the spiral common to all natural formations including those found in the growth patterns of human, animal and plant physiology and in the movement patterns of air, fluids and galaxies. 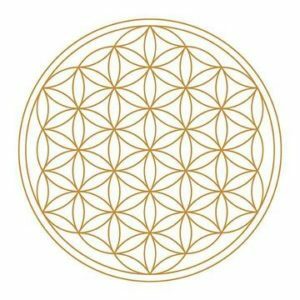 What is the significance of the Flower of Life symbol? The Flower of Life is the name of a geometrical figure composed of evenly-spaced, overlapping circles, that form symmetrical flower-like patterns based on hexagonal fractals. Because this symbol depicts fundamental spacial forms, it appears in many ancient cultures. It is considered to be ‘sacred geometry’. The symbol, itself, is reputed to have power to influence space/time. The most common rendition of the ‘Flower of Life’ consists of 19 complete circles enclosed by a large circle. Its six-sided pattern displays the center of each circle on the circumference of six surrounding circles of the same diameter. The oldest known representation of the flower of life is at the Temple of Osiris in Abydos, Egypt. At this ancient site, the symbol is all the more fascinating as it appears to have been burned into the granite by an ancient laser-like process. Another ancient occurrence of this symbol is in China in 3-D form; it covers the orb under the paw of the ‘Fu-Dog’ (actually the Guardian Lion) at the entrance to the Forbidden City. Leonardo DaVinci observed the profound mathematical significance of the ‘Flower of Life’ shape and applied it to his work. What is Molecular Hydrogen (H2)? H2 is a gas which forms when two hydrogen atoms bond together and become a hydrogen molecule. H2 is also called molecular hydrogen. It is the most common form of hydrogen because it is stable with a neutral charge. It consists of two protons and two electrons. H2 is not a free radical. It is the antioxidant in ‘hydrogen-rich’ water. H2 is the smallest molecule in the universe. That means it can go where nothing else can …including into your mitochondria which are the powerhouses of your cells. Hydrogen gas should not be kept in plastic because hydorgen will pass right through the walls of a plastic container. boosts hydration and water’s potential for transporting nutrients into and toxic waste out of our cells. Dehydration results in aging, pain, and disease. is an anti-oxidant with a unique ability to neutralize free radicals and the negative effects of stress that cause aging. Unlike other anti-oxidants which become free radicals themselves upon donating an electron to neutralize a free radical, when H2 neutralizes a free radical the by-product is simply H20. is a selective anti-oxidant. It scavenges the most toxic oxidative species such as the hydroxl radical yet is much less effective at neutralizing free radicals that are important (in small concentrations) for cell signalling. boosts energy and increases ATP production. provides natural relief from pain and inflammation. Molecular hydrogen (H2) is so small that it rapidly penetrates cells to support nuclei and mitochondria. Hydrogen passes through the blood-brain barrier, an action that most other anti-oxidants cannot accomplish. Research and clinical studies indicate that Molecular Hydrogen (H2) may have therapeutic and preventive applications related to many conditions including Parkinson’s, cardio-vascular disease, diabetes, cancer, degenerative conditions and inflammatory diseases such as gout and arthritis. Here is an excellent report entitled ‘Clinical Effects of Hydrogen Administration: From Animal and Human Diseases to Exercise Medicine’ published in the International Journal of Clinical Medicine, January 2016. Kang et al. Effects of drinking hydrogen-rich water on the quality of life of patients treated with radiotherapy for liver tumors. Ohta et al. The 2011 Medical Molecular Hydrogen Symposium: An inaugural symposium of the journal Medical Gas Research. Kawaguchi M, et al. Molecular hydrogen attenuates neuropathic pain in mice. PLoS One. 2014. Zunmin Du et al. Three hydrogen-rich solutions protect against intestinal injury in uncontrolled hemorrhagic shock. Fujita et al. Hydrogen in Drinking Water Reduces Dopaminergic Neuronal Loss in the 1-methyl-4-phenyl-1,2,3,6-tetrahydropyridine Mouse Model of Parkinson’s Disease. PLoS One. 2009 Sep 30;4(9):e7247. Acknowledgement: Many thanks to Tyler LeBaron and the Molecular Hydrogen Foundation for his valuable work and information regarding the studies, properties and use of molecular hydrogen gas. Disclaimer: The information and recommendations provided on this website have not been evaluated by Health Canada and are for educational purposes only. The products and information offered on this site are not intended to diagnose, treat, cure or prevent any disease. You should always ask your doctor before using any products. The quantity and quality of water available to the industrial sector will soon become critical factors, no longer to be taken for granted.